The author of 10 books, her book Nutrition for Life has clocked up sales of almost 500, 000, making it one of the most enduring and popular nutrition books in the country. 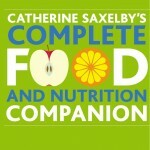 In 2012, she released her latest book Catherine Saxelby’s Complete Food and Nutrition Companion after two years of solid research. editor), Women’s Weekly, Who, Healthy Food Guide, Prevention and New Idea. She is called upon for her opinion on food issues by radio and television and often appears on news and current affairs programs such as the Today Show, Today Tonight, Sunrise, Channel Nine News and Fox News. She works with food producers, supermarkets and publishers to make healthy eating easy and healthy food, taste good. She helps these groups communicate better so that consumers can understand nutrition and put into practice good eating habits. Guest appearances on TV shows such as Sunrise, A Current Affair, Kerry-Ann, Fresh, Good Morning Australia, news on all three commercial networks as well as Sky News. Commentator on radio including numerous ABC stations both metro and regionals, 2GB, 2UE, 4BC, 3AW, 6PR, 2CC. She chats on Saturdays with George and Paul on 2UE in Sydney. She has also had regular segments with James Valentine on ABC 702 Sydney called Nourish and also with Leon Viner on 5AA. Contributor to Healthy Food Guide magazine. Comments on food and diet for magazines such as Women’s Health, Body & Soul (Sunday Telegraph), Prevention, Good Food (Fairfax), Good Health, Life (Sun-Herald). Aside from media commitments, Catherine delivers seminars and workshops to corporate groups as well as the food industry and health professionals. Catherine holds a Bachelor of Science degree (majoring in biochemistry and physiology) and a Post-Graduate Diploma in Nutrition and Dietetics, both from the University of Sydney. She is an Accredited Nutritionist (AN) and an Accredited Practicing Dietitian (APD) and has been an Honorary Governor of Sydney University’s Nutrition Research Foundation from 1993 to 2013. She has undertaken additional courses in writing, media and communications, internet/blogging and marketing. She understands the systems of marketing food products and how best to communicate complex nutrition issues to the general public. She practices Tai Chi and Pilates and has studied meditation under Western doctors as well as with Buddhist monks. 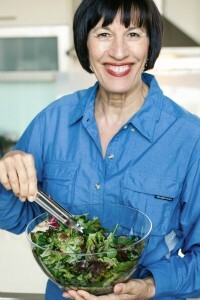 In 2005, she was made a Life Member of Nutrition Australia for services to community education. In 2009, she was made a Recognised Contributor to the media spokesperson program run by the Dietitians Association. She mentors younger dietitians to help them present their case in interviews. including basic foods, ingredients, additives, hot topics and issues. Catherine has packed two years of work between the covers. long-time friend and Food Editor, Woman’s Day. Over 120 recipes for vitality and good health.